This is our current favorite soup, finally knocking posole out of the position it’s held for years. It is extremely easy and will be ready in a little over half an hour. Perfect on a cold afternoon, or after a long day at work. My inner Martha always chastises me for not starting with home-cooked beans. But ya know, real life people. This soup is good, but what really makes it fabulous is the citrusy-herby dollop of sauce you add to the bowl. I still don’t know what the hell to call it – it’s like a gremolata or a chimichurri in a Sonoran Southwest kind of way. Cilantro, garlic, red pepper flakes, lime zest and juice. Unlike a blob of sour cream that would make this soup feel heavier, the heat, zing, and herbaceousness of this chimolata (hmm…I like that one) really lift this up. It makes the soup hearty, but not heavy. And really dense in flavor. 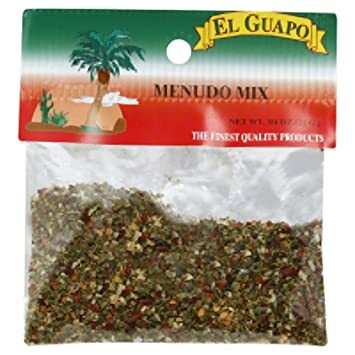 Himself likes this with tortilla chips. Corn bread or a grilled cheez (or cheese, if you are not dairy-impaired as we are) along with a salad will make this an awesome and easy meal – something we can all use as end of year busyness overtakes our lives. This is enough for four. So, dinner and leftovers lunch for two. In a large soup pot on medium, add about ¼ c. of water and the onion, carrot and celery. Cook for a few minutes until they start to soften around the edges. Add the remaining ingredients except the broth. Give it a stir, then pour just enough broth over everything to just cover. Too much broth and you’ll have a thin soup. Simmer for ½ hour or until the veg are tender. Before serving, take the immersion blender to it and blend it all up. I like to leave mine with some chunks of the veg, but do yours how you like. Mince superfine the cilantro and the garlic. Fine, as in almost to a paste. When the soup’s done, Serve with a dollop of the chimolata. Serious nerms, peeps. Plus 17% of your daily calcium, 35% for iron and 26% for potassium. Hey, now. That was quite the hiaitus. I used up my December creative juices on a tamalada and 80 dozen cookies and was enjoying myself so much I forgot to take pictures. This was great for me, but sad for the blog. With a really fun-to-say name, this is a double win. How can you not smile when you say chochoyote. I mean, come on! Briefly saute the chopped veg in the oil in a large soup pot. Then add in the tomatoes, broth and spices. Turn to medium-low. This is going to look sparse at first – like a LOT of broth and so few veg. The dumplings will absorb a lot of the liquid, and act as a thickener, too. It will be lovely, swearsies. Make the masa for the dumplings. Mix 1 c. masa harina with ½ tsp. salt and ¾ c. warm tap water. This will make a thick crumbly mess. Add 2 Tbsp fat (bacon fat, lard, or crisco – bacon is the best) and with clean hands, knead the dough until it is combined. It should be firm and not sticky, like a play-do consistency. Roll it in to 4 logs about a 1.5” in diameter and 5” long. Cover and set aside at room temp for 20-30 minutes. Meanwhile, the soup should be at a bare simmer. After the wait, take one of the masa logs, break it in to 5 even pieces and roll each one in to a ball. With your thumb (or an implement, I used the end of my lemon reamer because fingernail marks in the dumplings sick me out.) But I digress. So, put a dimple in each dough ball so that it looks like a little bowl, and gently place each one in the pot. Gently shake the pot to get them to submerge if needed. Don’t stir – they’re super fragile and will just come apart. Repeat this process until all the dumplings are in the pool. Keep at a bare simmer for 20-30 mins. The soup will thicken and the dumplings will cook. Check for doneness by taking one out and slicing it in half; it should be the same color all the way through. If there’s an uncooked core, just simmer them for five more minutes and check again. Serve like any Mexican-style caldo – with lime wedges and hot pepper, some oregano or cilantro , maybe some sliced radish – so everyone can season their bowl to their taste. If you actually have leftovers of this, they won’t last long. This little bowl of love is like a veggie stew with tamales in it. You are going to LOVE this. I promise. updated 01.22.18 – add “room temp” to resting the masa. I know, I know. ANOTHER butternut squash recipe? I should be getting some kind of commission from the Butternut Council of America. I am so googling to see if that exists after I finish this post. So, you know what they say. Soup: it’s what’s for dinner. Or at least, that’s what my poor, long-suffering husband says every time there’s a grey sky. Besides – Costco had two packs of these bad boys. On a cold day, this is a win/win, people. Roasting concentrates the flavor and brings out the sweetness of the veg. Add some earthiness with the celery and the thyme, and the tartness from the apple, and this is simple goodness all around. Shall we? 1 ½ to 2 quarts chicken (or veg) stock. The last twenty minutes, bring one quart of the stock to boil, then reduce to simmer to keep it hot. When the squash et al are done (fork tender, nicely caramelized), toss it all in the pot. The stock should just cover everything (add more if needed). Take a stick blender to it, puree, consume. Add more stock if you’d like a thinner soup. Or – keep the squash in the fridge, and bring to boil and puree later when you’re ready to eat. It’ll keep in the fridge for several days (as will the soup once it’s done.) If you freeze this one, expect some water separation at the thaw. You can do it, I just wouldn’t recommend it. I garnished mine with a little greek yogurt and some toasted walnut – butter would also be delish. P. S. That Butternut Council of America does not exist. I must confess to being disappointed, although another smartass food blogger had the same idea back in 2013. So there’s that. It finally happened. Stepping outside in the morning one day last week, I could feel it. The air was cool(er?). Summer is leaving. Then, we had a rainy day. And as Himself will tell you, I’ll use that as an excuse to make soup every time. Even if it’s 85*. But, c’mon – after 104*, the eighties are practically cold. It’s all relative, man. The other is that genius Beth over at Budget Bytes, who taught me whenever I’m making a mirepoix for a soup to double it and freeze half so the next time it’s like a little time-saving gift waiting for you in the freezer. This was quick and yummy. Drizzle it with a little balsamic vinegar before serving. And, btw, the fresh thyme and the San Marzano’s are really essential. Spring for the toms, for this and your pasta sauce. You will be glad. Safeway has them under their house label, so they’re not insanely expensive. They really do make a difference. 3/8/15 – Alas, dear friends, this post was also hacked. And I did not see it before I had the back up version restored. So…..we have some pictures, and the recipe…. Rinse and inspect the lentils for any undesirables. In a large soup pot, heat the butter on medium and add the onion and potato. Cook until the onions begin to get clear around the edges and the spuds have absorbed some of the butter. Add everything but the garnish to the pot, simmer on medium-low for about forty minutes. It's done when the lentils are tender. Take your stick blender to one side of the pot and blend about half - this makes for a creamier soup. Buy the curry paste. It is FAR superior to the powders.